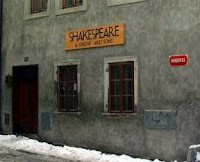 Kelly said: "Although I missed their two Prague locations, Shakespeare and Sons in Cesky Krumlov was another pleasant and peaceful surprise." Shakespeare himself would have been proud to buy books from this splendid bookstore! Tucked into a back alley of Krymska with a small sign, this bookstore, once you manage to find it, is a wonderful place to drink coffee and gossip with friends in the cafe part. Or, if you feel like maxing out your credit card, venture into the book part of Shakespeare and Sons and prepare to be blown away with the huge number of fine books. You can also sell your books to this store in exchange for money or store credit, including drinks. Good fiction section, good poetry section, good history section, and, of course, good selection of plays! The only drawback to this incredible store is that there seems to be only one regular staff member for both the cafe and the book part. Established in what was once known as “the best brothel in Prague” due to its warm running water – an oddity in 1930s Eastern Europe – Shakespeare and Sons is the brainchild of three Czechs and an American: Roman, Radim, David, and Bryn. The result is a comfortable, well-utilized space, divided into two sections: a storefront café and bar with a small used books section, and “The Book Room” where you’ll find new books and plenty of seating. Shakespeare and Sons stands out, however, not for its brandies, but for its variety of English-language print. Nine sections of books put the store immediately in league with other, more established shops in town. Prepared to like it, I went to the Shakespeare a synove in Praha 10. I didn't like it. Small selection for far too much. A used (used!) paperback (paperback!) of "Slaughterhouse Five" was for sale for that same 150 Kč = 6 Euros stated by Sonjica. Unreal. I think the price is the minimum, for even the bargain bins outside held old paperbacks--covers falling off in my hands--for 150 Kč and up. I wasn't prepared to find out how much the coffee was. I might check out the other locations, but I won't be back to this one. 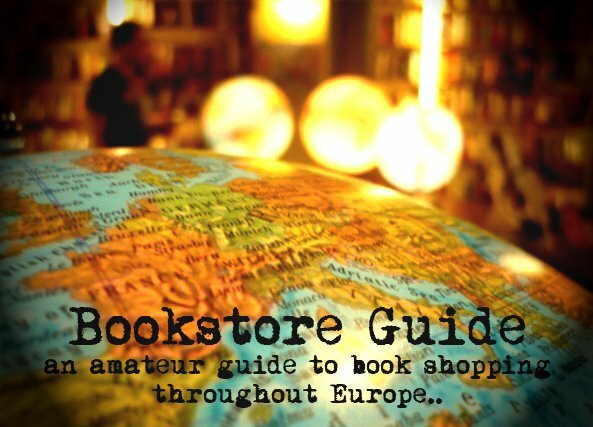 I came upon this site looking for alternatives - but I think this was the only English-language bookstore in the town.